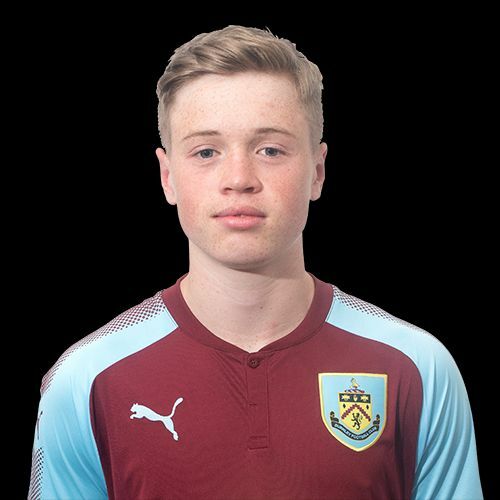 Burnley’s under-18 team have twice won home games 3-2 this week, one in the U18 Professional Development League against Barnsley which we followed up with a Lancashire FA Youth Cup win against Bolton. Captain Michael Fowler and Ethan Kershaw (pictured), who are currently on work experience loans at Padiham and Barnoldswick respectively, returned for the cup game with Fowler scoring all three. He netted twice in the first half to give us a 2-0 lead and scored the winner five minutes from the end after Bolton had drawn level. Kai Smith, Mitch George and Matt O’Neill, with his first of the season, were the scorers in the league last Saturday and that win has taken us up a place in the table to third. We started the day behind both Leeds and Nottingham Forest on goal difference, but they were playing each other. Forest won, and remain above us, but Leeds are now three points behind although they do have a game in hand. There was good news for all three of us too with Sheffield Wednesday surprisingly dropping points in a 2-2 draw at Crewe. Wednesday still lead the table but are now only two points clear of Forest and us. Hull remain bottom of the league after losing at home to Birmingham. While leaders Wednesday remain unbeaten, Hull are the only team in the northern group still searching for a first win. In the south, all teams have lost at least one but Colchester, at the bottom, are, like Hull, still without a victory. They did, however, secure a second point of the season in a 0-0 draw against Charlton. There are just four games this week. We are without a game and next play a week on Saturday at Birmingham. Last week’s results, this week’s fixtures, our goalscorers and the current league tables can all be found below.